By most accounts, last weekend's inaugural Great GoogaMooga Festival sucked the great googamooga. But now, thanks to Fucked in Park Slope, the dehydratingly long lines to buy awe-inspiringly overpriced "artisanal" scraps have suddenly been made well worth it. 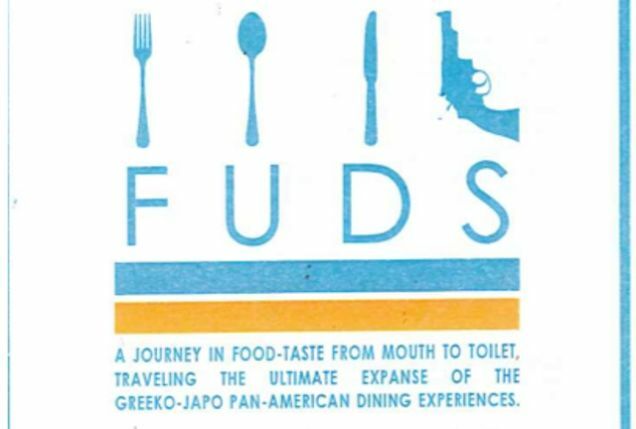 It remains unclear who exactly it was that was handing out this tearjerkingly hilarious faux-menu for FUDS ("a journey in food-taste from mouth to toilet, traveling the ultimate expanse of the Greeko-Japo Pan-American dining experiences") to GoogaMooga-goers, but suffice it to say that we stand with Fucked when they kindly request that whoever it was be given a key to Brooklyn posthaste. Read the entire thing-of-beauty at the source, and then spend the rest of the day wondering what on earth could possibly be in a Bill Clinton Sandwich. UPDATE: Gawker's own Adrian Chen chimes in: "I've been told the menu was made by three comedians from the Upright Citizens Brigade: Dan Klein, Arthur Meyer and Kelly Hudson. 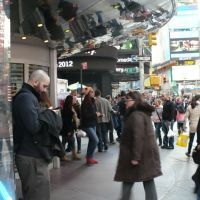 They're also behind these great parodies of "Seinfeld:" Funny people."